Accessorizing your wardrobe can be classified as an art form. It goes without saying that it is a very special and unique kind of art. When shopping jewelry retailers online, the amount of stunning pieces you see can be a bit overwhelming at times. Sifting through all the choices, deciding what to buy and what you will wear it with can be a daunting task. 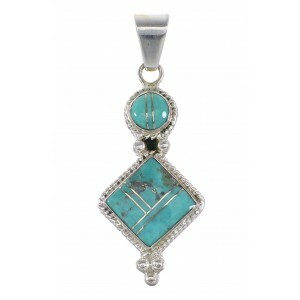 Turquoise, Native American and southwest mens pendants are a great way to perfect nearly every outfit. With all the different shapes, colors and sizes of mens pendants available, a well-placed pendant can add levels of personality and flair. 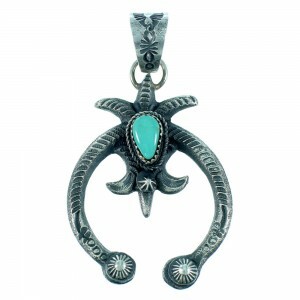 The mens pendants found here at SilverTribe hold an exclusive southwestern and Native American touch. 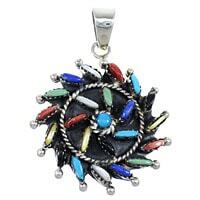 Coral, turquoise, amber, onyx and opal are just some of the precious gems featured in our mens pendants. 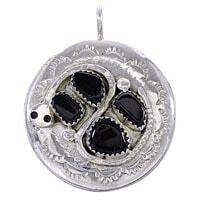 Spice up your style with mens pendants from SilverTribe today. 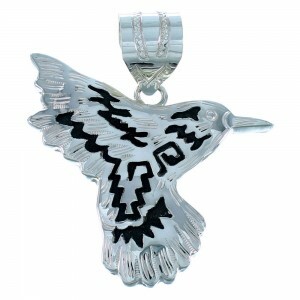 Few pieces of jewelry are capable of making more of a statement than personalized mens pendants from SilverTribe. With this is in mind, it's important to consider color contrasting and placement before making a purchase. 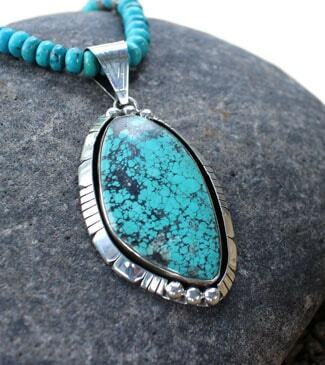 Off all the pendants housed within SilverTribe's vaults, turquoise mens pendants are often the most vibrant. The precious stone has been revered for its healing qualities for generations. 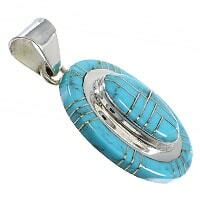 When set with durable sterling silver, turquoise mens pendants also do wonders to cure your wardrobe's ills. 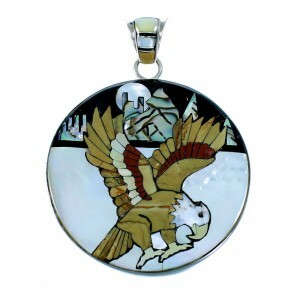 Many of the Native American mens pendants we offer feature animals and wildlife. Whether it's a bird, bear, horse or spider, each creature represents a certain strength and characteristic. 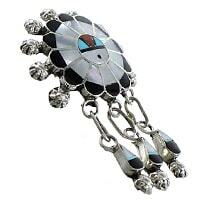 These Native American mens pendants will be sure to start conversations and grab attention no matter where they are displayed. Though mens pendants can be described as harmonious, finding the perfect color, design and shape is of the utmost importance when wanting to display your unique personality. 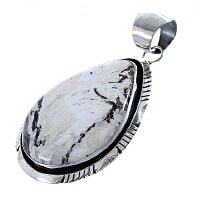 The SilverTribe collection of mens pendants is highlighted by versatility and style. 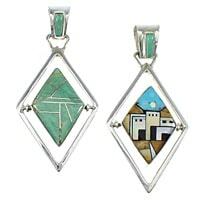 Whether it's multicolor mens pendants, inlay bead pendants, tear drop pendants, sterling silver pendants, or classic Native American pendants, the customization possibilities are nearly limitless. Customers are encouraged to take their time browsing through the enormous inventory of personalized and timeless mens pendants featured in SilverTribe's jewelry vaults. 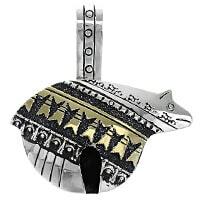 The mens pendants in SilverTribe's jewelry vaults are steeped in personality. However, bold and bombastic doesn't have to break the bank. 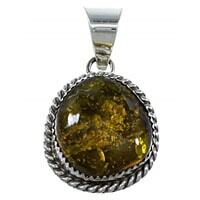 SilverTribe is committed to providing customers with mens pendants and other pieces at the best prices. 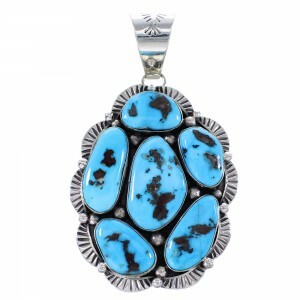 And what's more, the incredible prices on Native American and southwest turquoise, amber, coral and opal mens pendants can be reduced even more by the special discounts we deliver. That's not all SilverTribe delivers, as all orders ship for FREE. 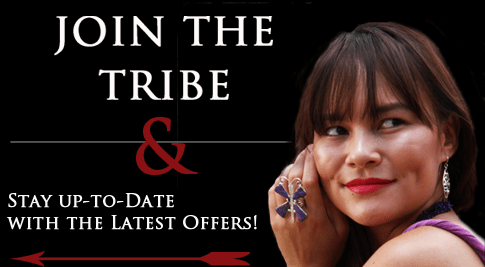 To become eligible for even more exclusive deals, seasonal giveaways and promotional offers, sign up for SilverTribe's preferred email list. 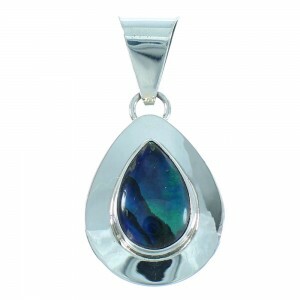 Mens pendants have the ability to transform any outfit. 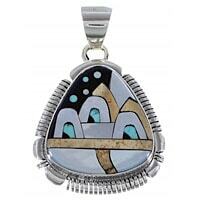 Mens pendants can also be the starting point to creating your Native American our southwestern-inspired wardrobe. 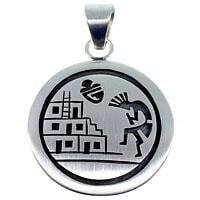 Start your journey with mens pendants from SilverTribe today!